In need of some woodwork? Chances are you’ll want to hire a Pilot Hill, CA carpenter. Carpenters work with all types of wood and can specialize in many different areas, including framing, finishing and custom-made furniture. Make sure you choose the right Pilot Hill carpenter for your job by asking plenty of questions, viewing their past work and reading reviews. Custom woodworking. Handcrafted home decor. Every sale helps provide a meal to a family in need. 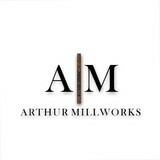 Arthur Millworks delivers the highest quality handcrafted furniture, built to last a lifetime. We specialize in custom table designs for home and commercial use. Design, production, and delivery is all done in house with pride and extreme attention to detail. We look forward to working with you to make your furniture vision a reality! 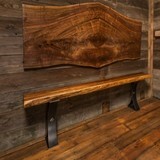 Your source for local, sustainable urban wood, including dimensional lumber and live edge slabs. 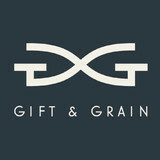 Unique designs focused around using space and objects effectively. Background in engineering allows for for a visual creativity that is limited only by physics. Creates a unique blend between architecture and engineering. Burnett & Sons is a company specializing in architectural millwork and custom lumber projects. Our milling company manufactures a variety of standard and custom patterns for moldings and siding. We also supply miscellaneous building products, including wood and composite columns, Fypon® shutters, and gable vents. We even offer custom Corian® and Formica® countertops. We’ve had a trusted name for 145 years. We use our decades of experience and our familiarity with the many products we carry to make sure you get perfect results. We can work with any budget you have in mind. Being a part of a transition into a new century is an adventure and is a rare find in the business world. We are proud to be one of the few local businesses that has experienced this twice since our inception. I custom build indoor and outdoor furniture. From benches to custom kitchen tables and counter tops. Ironwood Carpentry designs and builds custom woodwork and finish carpentry. We design and build custom furniture, custom wood and metal signs, trim work and moulding, custom cabinets and vanities, fireplace mantels, custom built-ins and entertainment centers, and all kinds of architectural millwork. Our work is crafted with precision and detail!